With shoppers flocking to online platforms like Amazon.com Inc (AMZN.O) and children choosing electronic gadgets over toys, Toys ‘R’ Us has struggled to service debt from a $6.6 billion leveraged buyout by private equity firms KKR & Co LP (KKR.N) and Bain Capital and real estate investor Vornado Realty Trust (VNO.N) in 2005. 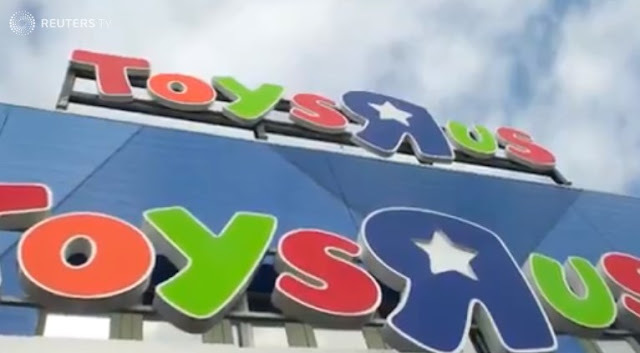 Toys ‘R’ Us was already working with liquidators Tiger Capital Group LLC, Great American Group LLC, Hilco Merchant Resources LLC and Gordon Brothers Retail Partners LLC on previously announced store closures, and the four are expected to continue with the additional closings, sources said. “A large number will go to the wall,” Muller said. 0 Response to "Toys 'R' Us plans to close all U.S. stores; 33,000 jobs at risk"